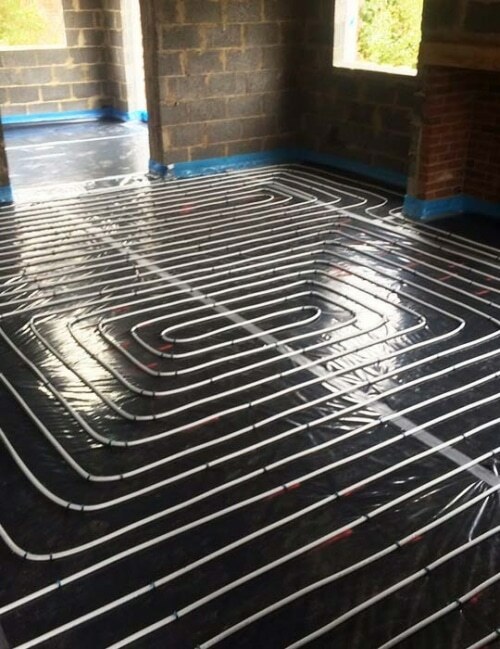 With so many critical decisions to make during the specification and installation of an underfloor heating system, it’s important to work with a contractor who can demonstrate their knowledge and experience. From the quality of the damp proof membrane, the fitting of the perimeter edge and the standard of the insulation, to the spacing and securing of the pipes and pouring of the screed in accordance to laser measurements, Screed It has a reputation for best practice and quick, efficient installations. We combine the latest underfloor heating technology with the experience and skill of our highly-trained installers to deliver beautifully even, heated and energy efficient floors fit to last the duration. Book your underfloor heating design service with Screed It today. There are many underfloor heating systems on the market, and plenty of installers offering a variety of fitting and commissioning services. This can make it hard to determine which is the right product and service for you. Rather than buying ‘off the shelf’ underfloor heating packages, we use our bulk buying power to purchase Emmeti market-leading underfloor heating components at highly-negotiated rates. Emmeti is an expert in its field, offering manufacturing quality above and beyond what is available from most national distributors. All of their fittings are drilled and tapped rather than cast and they offer chrome-plated brass manifolds. Their products are durable and readily available at short notice, which translates to a quick installation which will stand the test of time.